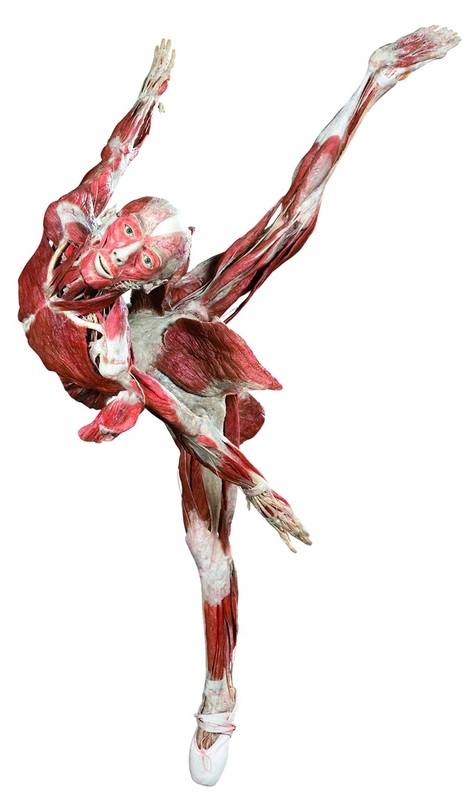 BOSTON, MA – On June 16, 2019, the Museum of Science, Boston will host the Northeast debut of Gunther von Hagens’ BODY WORLDS & The Cycle of Life, a new presentation of the groundbreaking anatomical exhibition series BODY WORLDS that has been seen by more than 47 million people globally. The 10,000-square-foot exhibit, designed by BODY WORLDS’ creative and conceptual designer Dr. Angelina Whalley, focuses on the human life cycle, capturing the body at every stage – at its most healthy, as it changes, grows, matures, and finally wanes. The opening in June will mark the second time a BODY WORLDS exhibit has been featured at the Museum – in 2006, BODY WORLDS 2: The Anatomical Exhibition of Real Human Bodies became the Museum’s most popular exhibit in twenty years during its four-month run. The BODY WORLDS series was originally conceived to educate the public about the inner workings of the human body and to reveal the long-term effects of both healthy and unhealthy lifestyles. In addition to showcasing the wonders of human development, the exhibit’s 100+ specimens demonstrate the complexity, resilience, and vulnerability of the human body when in distress, when stricken by disease and when in optimal health. All specimens presented in the BODY WORLDS exhibitions are preserved through Plastination, a scientific process invented by pioneering anatomist Dr. Gunther von Hagens. More than 100 specimens specially curated for this exhibition. Visitors to BODY WORLDS & The Cycle of Life will see individual organs and systems, as well as full-body plastinates in various poses including acrobats, football players, and more. A stunning look at conception and prenatal development which features a multimedia display on cell division and a remarkable collection of plastinates acquired from historical anatomical collections. The Artists' Gaze – an exploration of the sight and vision of artists Claude Monet and Edgar Degas, who suffered from cataracts and retinal eye disease. Centennial Village – a feature on findings from geographic clusters around the world that are home to longest living people on earth—from Okinawa, Japan and Ovodda in Sardinia to the Hunza region of Pakistan. These people, who defy what longevity means, have been found to share common traits and lifestyle practices that are worthy of attention. BODY WORLDS is the first exhibition of its kind to inform the visitor about anatomy, physiology and health by viewing real human bodies donated to the Institute for Plastination, established by Dr. von Hagens in 1983. "Dr. von Hagens originally invented plastination in 1983 as a way to teach his students about the structure of the human form,” said Dr. Whalley. “Today, BODY WORLDS and the Cycle of Life is the perfect way to use this science to showcase the beauty of the human body and remind us that our bodies are our personal responsibility and remain with us throughout our lives. Our bodies are fragile and vulnerable, yet resilient and forgiving. This exhibit shows that giving up unhealthy lifestyles or adopting healthy changes, can make a difference at any age." BODY WORLDS & The Cycle of Life will open at the Museum of Science, Boston on June 16, 2019 and will remain on exhibit through January 5, 2020. Exhibit tickets can be purchased with Exhibit Hall passes beginning May 14. Due to tremendous public interest, an advance purchase of timed tickets is recommended. For more information, call 617/723-2500 or visit https://www.mos.org/exhibits/body-worlds.